Regan Sims is an actor and artist born and raised in New York City. As valedictorian from the Professional Performing Arts School in 2014, she has most recently graduated from Rutgers’ Mason Gross School of the Arts with a BFA in acting. Through the Rutgers Theatre Company, Regan has worked under the direction of notable artists such as Mark Rylance, Kevin Kittle, Simon Dormandy, Kip Fagan and Matt Dickson. ​You can see Regan in Broken Box Mime Theater’s latest scintillating show–SKIN–running at The Jeffrey and Paula gural Theatre at the A.R.T./New York Theatres through February 3rd. Regan spoke to Works by Women about her love of mime, her favorite podcasts and the value of being a lifelong Girl Scout. WORKS BY WOMEN: Tell me about Broken Box Mime Theater’s show SKIN. REGAN SIMS: SKIN is about how we feel in our skin, how we look at other bodies and how we express ourselves. It is about identity and color and the people that the audience literally see on the stage. We also explore consent and point of contact and skin interactions. The company was very interested in how skin also relates to wildlife in terms of shedding, molting and mating. WBW: What have you learned from performing mime? RS: I’ve learned how vulnerable mime is. All you have is you and your other company members onstage. There are no props, sets, costumes to work with/hide behind! And we’re telling stories that we’ve created from scratch, some of which are incredibly personal. It becomes such a powerful outlet of communication because there is nothing in the way of you, as the storyteller, and the audience, as the fresh eyes to fill in the blanks with their imagination. WBW: What first drew you to the theater? RS: I grew up in Manhattan, and I went to a performing arts middle school and high school so I’ve been in love with theater ever since I can remember. What kept me in it and what inspires me is my family. They encourage me to be the best that I can be and to surround myself with the things that I love. Live theater. There is no place like being in a live theater. WBW: What type of theater work interests you the most and why? RS: Right now, it’s Broken Box Mime. The power of simple storytelling has me hooked. It’s collaborative, it’s thoughtful, it’s so gosh darn powerful and it starts conversation. Hearing the buzz in the audience during the show excites me. Watching this kind of theater you just want to turn to your neighbor and say “Oh my gosh, what did you see in that moment?”. WBW: Tell me about being a lifelong Girl Scout. What has that meant to you? RS: Being a Girl Scout is all about community. It is about lifting other girls and women up and empowering one another to strive for excellence. My girl scout leader Stacey Pilson has taught me so much about community. She has taught me about being a leader, being a good listener, being myself. She is my second mom and I look up to her because she cares so much about helping others. And she supports my passion for the arts like no other. WBW: What’s a podcast, film or other piece of art that you recommend and why? RS: I’ve been listening to Such Stuff: The Shakespeare’s Globe podcast and The Moth podcasts. I studied abroad in London at the Globe for six months and I highly recommend Such Stuff because The Globe knows how to do live theater and how to talk about it. On the podcast, they have some of the most profound scholars and educators who talk about race, women, refugees, etc. and how the works of William Shakespeare are in conversation with these things today. And I recommend The Moth because I like hearing other people’s stories from around the globe. It’s extraordinarily ordinary people sharing and passing on their stories. I love that. RS: “Toma tu tiempo.” A great family friend told me that because I was telling her that I wanted to do everything; be a part of everything, be famous, be successful, BE MY ABSOLUTE BEST SELF AT THAT MOMENT. I was riling myself up and she put her hands on my cheeks (and she is a rather small woman and I am significantly taller so she brought me down to her level), looked me in my eyes and said “Toma tu tiempo.” Things take time, life doesn’t happen in a single second. And rushing to get to a “goal” makes us miss the beauty of the journey. 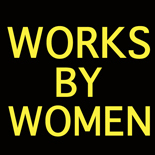 This entry was posted on January 26, 2019 by worksbywomen in Off Broadway, Theater, Women and tagged broken box mime theater, girl scouts, kevin kittle, kip fagan, mark rylance, mason gross school of the arts, matt dickson, mime, New York City, regan sims, rutgers, simon dormandy, skin, such stuff: the shakespeare's globe.